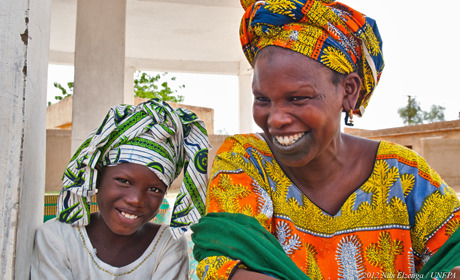 Active in Senegal since 1975, UNFPA is committed to the reduction of maternal mortality and supports access to reproductive and sexual health services, including reproductive rights, for the most vulnerable segments of the population. While the number of maternal deaths in the country has been declining slightly and contraceptive prevalence increasing, faster progress is needed. UNFPA targets regions that are most in need of assistance and advocates for national policies including population dynamics, gender equality,, and the needs of young people.